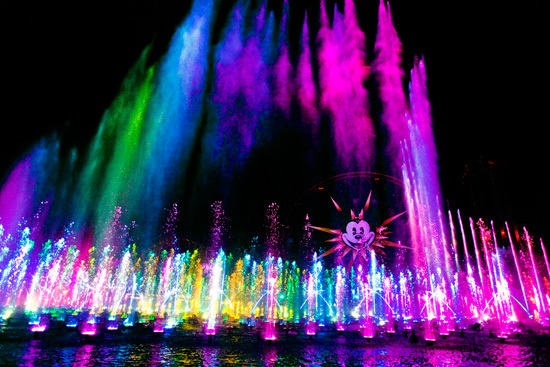 A very wonderful and generous friend of mine gave Andy and me tickets to see a special preview of the new show coming to Disney California Adventure, World of Color. 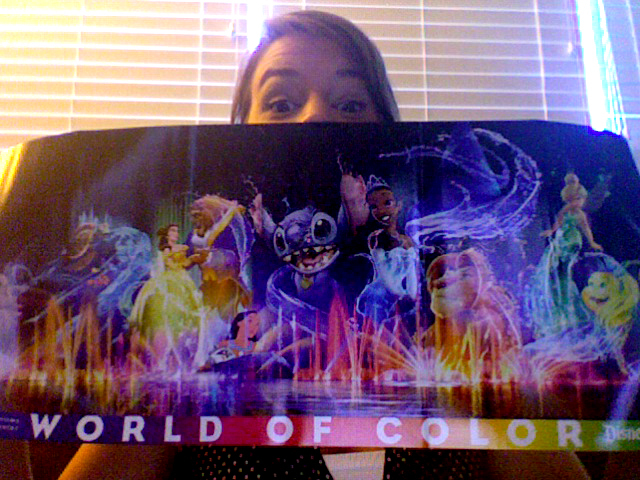 And let me tell you, I am beyond excited. When I seriously think about going I just want to cry. With the crazy amount of crowds that descend the parks over summer I didn’t think I would be able to see the show until the fall but now I can beat the crowds and feel special all in the same night! And then even better, I get to go back to Disneyland with my fellow princesses the following Sunday. Excited is an understatement right now. 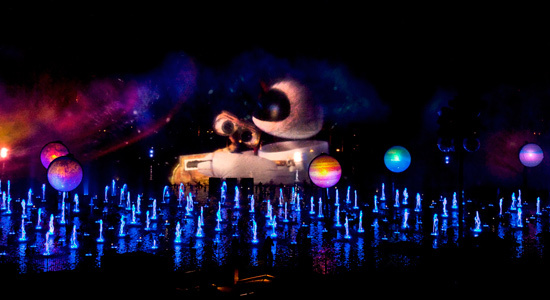 There are nearly 1,900 powerful and programmable fountains in the show. Butterfly Fountains create a smooth and serene effect, fluttering just above the water’s surface throughout the show. It has a vast underwater grid with 18,000+ points of control. Each fountain has multiple points of control to direct the lighting, color intensity, water angle and height. Geyser Fountains launch 40 gallons of water at once, creating a distinct “pop” sound that echoes throughout the bay. Grid fountains are vertical fountains that are positioned 8 ft apart and are fire water up to 40 ft in the air. Lucky you! I hope it’s awesome!